Ben Wheatley’s eagerly anticipated new film, Sightseers, is a black comedy about a couple on a caravanning holiday across England who start a killing spree. Written by its two stars, Steve Oram and Alice Lowe, the film is receiving regular comparisons to Mike Leigh and Natural Born Killers. What’s interesting is that, although he did not originate the project, the film is so clearly the work of the man who last directed Kill List. 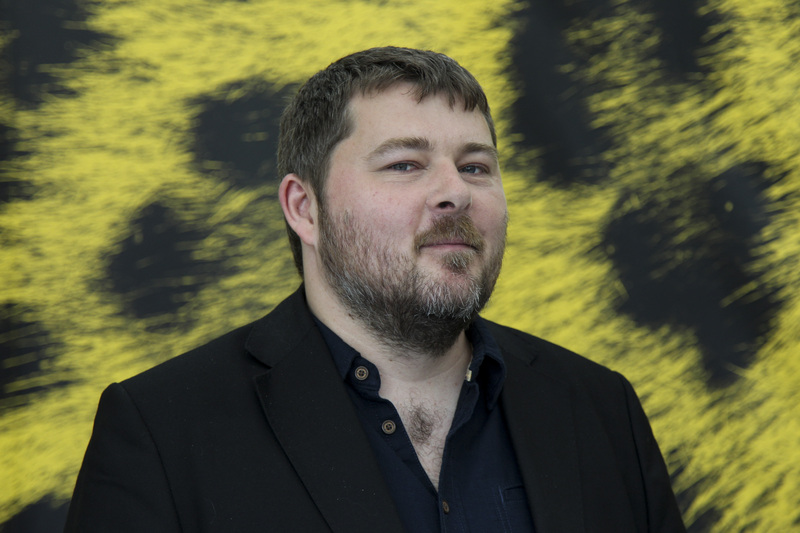 In September, Mostly Film’s Gareth Negus attended a press conference with Ben Wheatley, Alice Lowe and Steve Oram, who talked about the creation of the film, its production and their choice of eccentric tourist spots. Steve Oram: We really liked British holidays, which we both went on when we were kids; it was a lot of fun going to castles and stuff like that. Alice Lowe: We’re both from the Midlands, as well. SO: We thought it would be funny to have a couple of Brummies killing people… and then going to castles. AL: It was a live act, we had a character comedy double act. SO: We’d come on stage with sandwiches and be talking about castles or whatever… then talk about disposing of a body in a layby or something. AL: We developed it as a TV idea, but didn’t get anywhere with it. All the TV channels said it was too dark, originally. So we started to develop it as a film. We sent a short film to Edgar Wright, who said he would like to executive produce it. Ben Wheatley: I’d finished Down Terrace and I had a meeting with [producer] Nira Park, who said I’ve got a script for you if you want to do it. I’d worked with these guys before on some TV work, so I was like, yeah, of course. I knew I was going to do Kill List next which at that point was about to go into production, and I knew it was going to be really horrible and depressing, so I wanted to do something of a comedy afterwards. One of the main things that that was really appealing about the project was working with Alice and Steve. I wanted to do something that was really loose like that and this seemed like a really interesting concept of working with the writer/performers on improvisation. One of the things that attracted me to the script was that it fitted with the other movies I’ve done. It felt like it was a progression of those kind of characters. It is the kind of movie that I like, and I do try to make movies that I would want to go and see. Movies that are a bit more challenging… It’s quite a quirky movie, for a comedy. AL: We did actually go on camping trips together as research, in a caravan for a week. And then I guess we picked who annoyed us [when deciding who to kill]. But we did do a lot of research on camping and on what annoyed people on campsites, quite often children playing ball games – there’s a big debate in the caravan world on whether children should be allowed to play ball games or not. But I think our backgrounds massively informed the characters – we did, both of us, once we decided to do comedy, knew we would have to come to London to do that. But certainly a lot of my comedy influences come from my family, and my childhood; I think the Midlands had all the stuff like… Manchester’s got a certain reputation as being cool, for the music or whatever, London’s got a certain reputation… it’s hard to say, what is the thing that makes Birmingham. Growing up I certainly didn’t feel very cool. And that’s certainly true of my character, she’s someone who has struggled to find a voice for herself. In a way that’s a kind of parallel me, it’s that version of me who’s perhaps still living at home with my mum. So it’s very much based on a lot of childhood experiences. SO: Growing up in the Midlands… yes, I certainly agree with that. The Midlands is a middle place… with nothing going on. AL: I’m from Kenilworth originally, which has got the ruin of a castle, and I think that informed the idea of going to see something that doesn’t exist anymore. BW: You need to have the thing rooted in some kind of reality rather than making it too arch; if the audience are with them, and believe they’re real the move between the violence and back to the comedy doesn’t seem so out of sorts. If it has a really comic tone and it goes really horribly violent then you’d struggle to get back. I felt that with the rambler, where they smash his head in, it’s one of those moments where you kind of have to see it. If you don’t show it, morally you’re letting them off the hook; or it becomes that comedy violence where they’ve just killed a guy and don’t care, so the filmmakers don’t care, the audience doesn’t care… you have to pull it back and say this is the action, this is the consequence of it. AL: You have to care about the relationship. Really, the whole film is the story of the journey of the relationship. The killings are almost a metaphor for the trials they go through. We just really wanted people to identify with the experience of going on holiday and having a quarrel with your wife, or boyfriend or whatever… we knew if we didn’t crack that the film wouldn’t be watchable. You have to have some sort of identification with the characters to be able to stick with it. BW: There are unsettling elements in it. I think of it as a comedy because it’s designed to make you laugh, but then it has moments in it that make you feel unsettled, as opposed to Kill List which is designed to make you unhappy. AL: I hope that it does make people think about things. We always wanted to make a comedy that was a little bit more than that, that had tragic elements to it, that people properly engaged with – aspired to be intelligent comedy, essentially. Something that people wanted to talk about afterwards rather than just go for a pizza. SO: [The places we visited were picked by] my Dad. My character, Chris, is based on him… well, some aspects of him… He’s very into stuff like castles, and extremely knowledgeable, so when we were doing this research trip, when we went caravanning, me and Alice together, he designed the route for us from Birmingham through the Peak District, plotting out likely places along the way. Basically, that stayed the same for the film. AL: We very much wanted to include smaller scale tourist places and bigger, more panoramic parts of the Peak District. 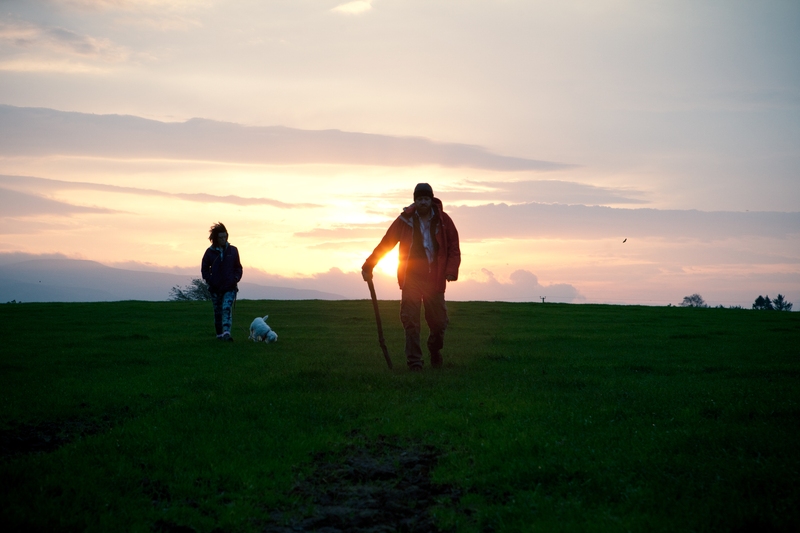 Once we went to those locations it genuinely inspired us, and helped fill our heads with what the film should be. SO: We gave them a breakdown of what the film is about. They agreed. We really tried hard to treat all these places with respect. The Pencil Museum: not a joke to me. I like it. With the tram museum, it was really important not to take the piss. It comes from a place of genuine affection for all these places. AL: I hope more people visit these places, but also more people film in them as well, because they’re so amazing. BW: I tend to shoot really, really quick, so you don’t get the problem you might get on a traditional film where you shoot one way and then the other. We shoot so fast you can actually incorporate the weather into it. One man’s weather is another man’s production value, that was how we looked at it. If you make a movie in the UK, you’ve got to embrace the weather with open arms. 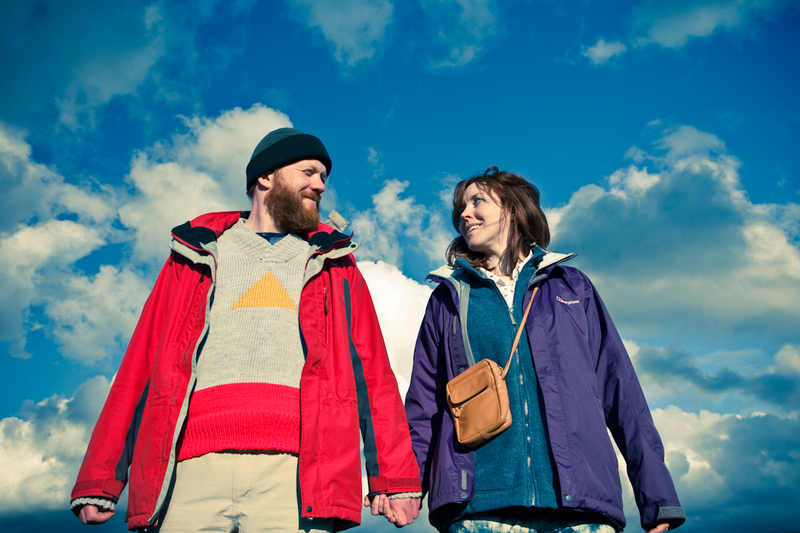 Sightseers has a Gala screening at the London Film Festival on Saturday. It is released in the UK on Friday 30 November.